Our Board is a diverse group of professionals from the area who provide the Geopark with it’s direction. We meet monthly at our Headquarters in the Visitor Centre and provide Geopark staff with the support to make the TRUGG an ever evolving part of Tumbler Ridge. Our Scientific advisors provide a broad perspective that is invaluable to our Geopark. We engage them for input on a range of issues within their academic fields and involve them in research opportunities within the Geopark. We’re excited and honoured that as of November 17, 2015 UNESCO has made 120 Global Geoparks (including the TRGG) official UNESCO sites. 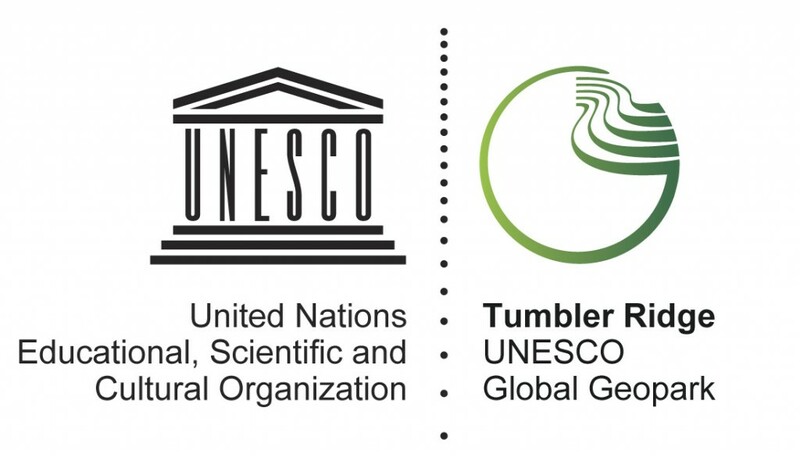 On September 23rd, 2014 the Tumbler Ridge Geopark became a Global Geopark, supported by UNESCO. The Tumbler Ridge Global Geopark Society (TRGGS) is led by a Board of Directors, which evolved from a Steering Committee and Executive, once known as the Tumbler Ridge Aspiring Geopark Society. It is incorporated as a registered not-for-profit society in the province of British Columbia, with its own constitution and bylaws, with scientific advisors in geology, paleontology and archaeology. Increase the length of stay of existing visitors. Increase the number of visitors focusing on those people who visit outside of the main events which are typically at capacity, such as the Geopark event Emperors’ Challenge and Grizfest. Increase the number of higher-yield visitors. These letters were a key component in our application to become a Geopark. Kareana Jensen is a classical composer from Tumbler Ridge. Sufficiently inspired by the grandeur of the geology and the Geopark concept to write music specific to these themes. “Kinuseo Falls” is one of her best-known pieces, in which, with a little imagination, the waters of the Murray River can be heard accelerating, tumbling over this magnificent waterfall, and subsiding in the pool below. Some of our original publications. The application sent by the Tumbler Ridge Aspiring Geopark to the Global Geoparks Network to become a member of this network. At the time there were close to 100 Global Geoparks, including one in North America (Stonehammer) and one in South America (Araripe in Brazil). 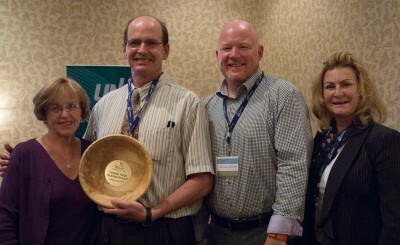 2013 Innovator Award from Northern BC Tourism. Jet-boat operators, Guide-outfitters, Helicopter outfitters, Snow-show tours, First Nations tours. Representatives from specialized interest groups: (Ice Climbing, Rock Climbing, Canoeing, Kayaking, Cross Country Skiing, Mountain Running, Emperor’s Challenge Mountain Marathon). Community Arts and Cultural Groups (Arts Council, Artists, Tumbler Ridge Public Library). Local service organizations (Lions Club) and Local media (Tumbler Ridge News).